#1 Secure File Sharing, Sync and Mobile Access for Businesses. FileCloud is the leading, self-hosted file sharing, sync and mobile access for Businesses. Using AWS infrastructure (EC2, EBS, S3) you can jumpstart your own branded, file storage solution in few minutes at a compelling price point . FileCloud client apps are available for all the desktop and mobile operating systems ( Windows, Mac , Linux, iOS and Android). Our 5 star rated mobile apps provide secure access to organization content from anywhere. 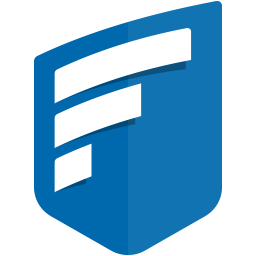 In-addition to file sharing and sync, FileCloud provides endpoint backup, data leak prevention (DLP) and HIPAA compliant auditing. FileCloud also offers hybrid cloud capabilities by synchronizing on-premise file servers to AWS and vice versa. FileCloud can be completely customized to reflect your organization brand: company logo and run FileCloud under your own domain. FileCloud's unique capabilities to monitor, prevent, and fix data leakage assure corporate data is protected across all your devices (Laptops, Desktops, Smartphones and Tablets). FileCloud can save you over 15,000 USD for 100 user licenses when compared to the similar enterprise file share and sync products. FileCloud is currently used by more than 3000 businesses across 90+ countries including world's leading Universities, Research organizations, Government entities and Enterprises. FileCloud is recognized in Gartner's content collaboration platform Magic Quadrant 2018. File Sharing -Allows businesses to create their own, branded file sharing, sync and mobile access, solution for their employees, customers and partners. File Sync - Effortless File synchronization across users computers, smart phones and tablets, so everyone can work together anywhere from any device.